The above message will appear if the shift lever is in D (Drive) or R (Reverse) according to the distance of the front and rear object from the sensor. The steering wheel will be controlled automatically. 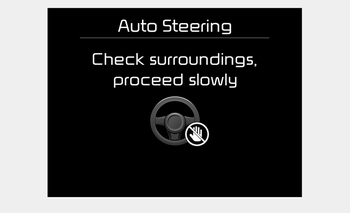 The system will be cancelled if you firmly hold the steering wheel while it is controlled automatically. The system will be cancelled if vehicle speed is over 7km/h (4.3mph). 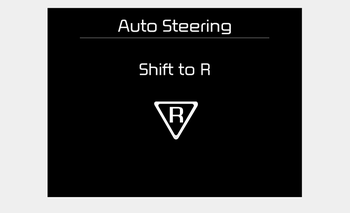 Do not put your hands between the steering wheel while it is being automatically controlled. Press the Parking Assist System or Smart Parking Assist System button. Always drive slowly with the brake pedal applied.